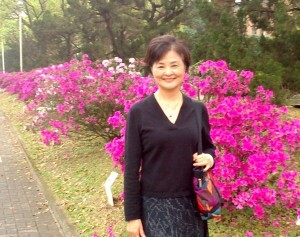 Our guest blogger of May is Dr. Chin-Chun Yi, the organizer of our last seminar in Taiwan. Dr. Yi is a research fellow at the Institute of Sociology, Academia Sinica, Taiwan. She received her Ph.D. from the Department of Sociology, University of Minnesota (1981). Dr. Yi’s recent research projects include “Comparative Studies on Chinese Female’s Family Status” (1994-2004), “The Intergenerational Transmission of Value of Children in Taiwan” (2004-2007), “Taiwan Youth Project: The Interplay of Family, School and Community” (1997-2014). Chin-Chun Yi has been an active member of the ISA since 1990, and served in the board of Committee on Family Research (RC06) from 1992-2006. She is currently in the executive committee of ISA (2010-2014). Dr. Yi also serves in the editorial board of several international and local journals, and has been in the board of government committees and NGOs. Dr. Yi has published in the area of family sociology and youth studies including a recent book by Springer: “The Psychological Well-being of East Asian Youth” (2013). 3. Emphases of empirical evidence and problem-oriented approach. 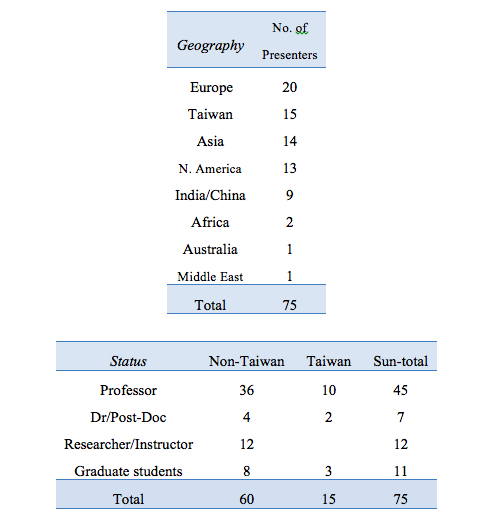 Up to now, there are several hundred family scholars teaching or doing research in Taiwan. While majority is involved in the clinical area, strong research domains include family structure, intergenerational relations, women’s work and family, conjugal power relations, and foreign brides in the family system. In recent years, mate selection, youth development, family care, divorce, etc. receive more attention as typical responses to the low marriage and low fertility situation in the region. I think it’s fair to say that family sociology maintains its core mission in delineating the structural causes and macro-level influence on the family dynamics in Taiwan. However, the historical linkage between Taiwanese family sociology and the Committee on Family Research, International Sociological Association, is relatively recent. I’ll use myself as an example. The first ISA experience I had dated back to 1990 in the Madrid Congress when I was a visiting scholar at the University of North Carolina, USA. I learned about ISA from American colleagues and decided to participate in RC06/CFR. There I met Jan Trost (the president), Fumie Kumagai, Stella Quah and many others. I was then persuaded by Jan Trost to sponsor a CFR seminar in Taiwan, and so it begins my long commitment to this extended family which includes 6 ISA congress and 20 CFR seminars from 1990 to 2013. More importantly, I’ve come to know excellent family scholars around the world and have established good friendship which I shall always treasure. The first CFR/RC06 conference took place in Taiwan was in 1992 and the venue was Academia Sinica. The theme chosen at that time was “Family Formation and Dissolution: Perspectives from East and West”, co-sponsored by RC06, ISA and Sun Yat-Sen Institute for Social Sciences and Philosophy, Academia Sinica, Taiwan. During three days’ program (May 21st to 23rd), Prof. Peter Laslett delivered a keynote speech on “The Family in the Industrializing East and the Industrial West” and proposed that Japanese families may be better suited to industrial societies. There were 25 invited papers which not only covered a wide range of geographical areas, the subjects (marriage patterns, household structures, marriage timing, family support networks, work and family roles, etc.) as well as the intellectual discussion on natures of family systems in the world attracted nearly 200 local scholars to attend. A post-conference tour to visit the coastal eastern Taiwan and to cross the central mountain range was arranged which brought fond memories for the participants. And after the lengthy and rigorous review process, a book with selective conference papers was published in 1995: Yi, Chin-Chun (ed.) “Family Formation and Dissolution: Perspectives from East and West” Monograph series (36), ISSP, Academia Sinica. Taipei, Taiwan, R.O.C.. The second RC06/CFR conference in Taiwan took place in March 12th-14th, 2003 with a conference theme on “Intergenerational Relations in Families’ Life-Course”. Since Institute of Sociology, Academia Sinica was formally established in 2000, this conference was co-sponsored by RC06, ISA (Bernhard Nauck was the president) and IOS. Over 200 local participants joined with 20 foreign scholars in 15 parallel sessions where 37 papers are presented. Prof. Glen Elder delivered a keynote speech on “Generations and the life course: Their interdependence” and Prof. Vern Bengtson spoke on “Intergenerational relations and the life course in changing times” in the plenary session. Quite a few first time newcomers to RC06 attended this conference including Merril Silverstein, Gisela Trommsdorff, Reiko Yamato, Michael Farrell, Esin Kuntay, Min Zhou, Lorne Tepperman etc. Since changing intergenerational relations have brought about serious impact on the family systems globally as well as locally, heated debates and dialogues followed inside and outside the conference rooms. As a formal closure, three special issue in different journals are published: Yi, Chin-Chun and Bernhard Nauck (eds.) 2006 “Gender, Marriage and Family Support in East-Asian Families”, Current Sociology (Vol.54, No.2); Yi, Chin-Chun and Michael Farrell (eds.) 2006 “Globalization and the Intergenerational Relation: Cross-cultural Perspectives on Support, Care and Interaction Patterns”, Journal of Family Issues (Vol.27, No.8); and Nauck, Bernhard and Chin-Chun Yi (eds.) 2007 “Intergenerational Relationships in Cross-Cultural Perspectives: Fertility, Interaction and Support”, Current Sociology (Vol.55, No.4). The third RC06/CFR conference in Taiwan again was co-sponsored by RC06, ISA and IOS, and was held in the new social science building in Academia Sinica. A local organizing committee composed of senior and junior sociologists in IOS was formed one year ahead of time. In order to accommodate diverse research interests of potential participants as well as to attract a broad range of family scholars to join RC06, “Demographic and Institutional Change in Global Families” was proposed as the conference theme. RC06 board members soon approved the theme and the timetable of March 28th to 30th, 2013. Few weeks later, the LOC began to work on the logistics of the conference after funding support from the Institute of Sociology was certain. Since RC06 will offer the 2nd junior paper award in the conference, a sub-committee headed by the vice-president Rudy Seward with Bernhard Nauck and a local representative Wen-San Yang was formed to process the paper reviews. In the meantime, upon the suggestion of LOC members, Frank Furstenberg, Philip Morgan and Stephanie Coontz agreed to give keynote speeches on changing global families from family, demography, and history perspectives respectively. By November, 2012, there were 99 abstract submitted for consideration. But due to visa problems, financial situation and last minutes’ withdrawals, the final program is constituted by 3 keynote speeches, 68 papers and 7 poster papers. From the following charts, it can be seen the pool includes presenters of various ranks and from 23 countries. An official website was established with detailed information updated. The 3rd family conference in Taiwan was once again warmly received by more than 100 local colleagues. The program was expanded to 18 parallel sessions. In addition to classical topics such as family structure, marriage patterns, aging families or family values, emerging subjects like migrant families and youth transitions are incorporated. From the photos available here, it is shown that participants had many opportunities (lunch, tea breaks, half-day tour, etc.) to engage in intellectual dialogue and to facilitate potential further collaboration. The opening ceremony was chaired by Rudolf Richter (President of RC06) and Michael Hsiao (Director of Institute of Sociology). A memorable moment appeared during the closing ceremony when Rudy Seward (vice-president of RC), before offering young scholar’s award to the winner Hsin-Chieh Chang (UCLA Ph.D. candidate), asked previous attendees at the Taiwan conference to stand up. Hiroshi Kojima and Fumie Kumagai enthusiastically responded as the 1992 representatives and the other 10 participants gladly raised their hands for the 2003 conference. The conference ended with a farewell dinner of ten Chinese tables and Ria Smit (secretary of RC06) gave an eloquent speech on the conference as well as on the collaboration between two institutions. In addition to the beautiful flute performance by Fumie Kumagai and Pipa (the Chinese flutee) by Pin-Huei Huang, several book draws resulted from the book display during the conference were taken place which certainly became the event of the night! While I am writing the report of the above three RC06/CFR family conference in Taiwan which took place over the last two decades, a thought quietly emerges: Time flies, but in the academic community, scholarship matures and friendship lasts! The last note: As the organizer of 2013 RC06/CFR conference on “Demographic and Institutional Change in Global Families”, I would like to thank my home institute—Institute of Sociology, Academia Sinica, Taiwan—for providing all supports throughout the process. Special thanks need to be mentioned to the local organizing committee (Ying-Hwa Chang, Chyi-In Wu, Alice Cheng and Michael Hsiao) for their timely and constructive suggestions, and to the group of research assistants led by Robert Chang (Chia-You Hsieh, Derek Huang, Pei-Wen Chiang, Emily Chang, Hsin-Yi Wang) who laboriously worked on various logistic programs, visa application, lodging and meal arrangements, on-site facilities, etc. Their hard work was clearly reflected in the success of the conference flow and from dozens of appreciative mails received. I myself am particularly grateful for the team spirit expressed before, during and after the conference from this group of younger generation which will surely bring fond memories in my heart.